At this point, you've probably thrown enough Pokéballs at Rattatas and Pidgies to fill up one of those ball pits at McDonald's PlayPlace. 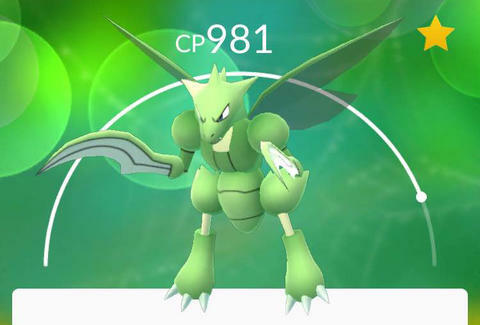 Fortunately, there are means to find better Pokémon already, and even more fortunately, some obsessed Pokémon player has done the math on how to maximize your Pokémon's efficacy. In a reddit thread, user Cototheburn set out a detailed calculation of each evolved Pokémon's strongest attacks. To be clear, the list doesn't focus on un-evolved Pokémon, so there's no Eevee or Pikachu here. But there's plenty of useful info here, organized in alphabetical order. Comment from discussion Each Pokemon with their best attacks. Cototheburn cited the formula in the original post, explaining the math as "Power (times stab of 1.25) divided by Attack Speed. Secondary is Power (times stab of 1.25) times energy bar(s) divided by Charge Time (times 1.25 or 1.5 crit chance. This one is tricky if it's one bar with 50 chance crit). Or Power divide by Charge Time times how many bars, either way is the same out come." He (ostensibly he) also included a link to the Pokémon Go game info site, which gives details on all the Pokémon, not just the evolved forms, with a slightly different data set. Still, if you're trying to figure out if your Vaporeon or Exeggcutor is up to snuff, take a gander at this list, or any of the other variants in the thread, organized by Pokémon number and max CP. Ryan Craggs is Thrillist's Senior News Editor. His best Pokémon is a CP 1029 Magmar. Follow him @ryanrcraggs.